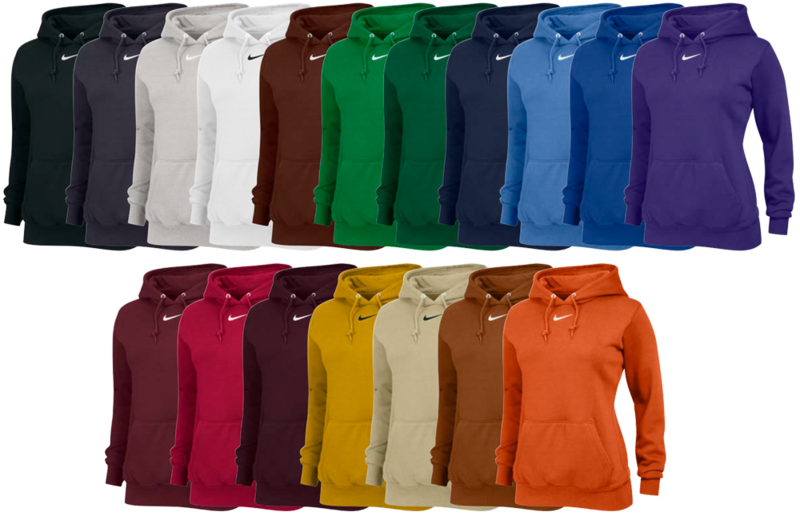 This Team Club custom women's Nike hoodies are a women’s specific fit. Long-sleeve hooded fleece with v at center front neck. Knit rib sleeve cuff and waistband. Drawcord at neck opening and lined hood. Center front pocket. Embroidered Swoosh design trademark located centered below neck opening. Body width: 21.25”, Body length: 26” (size medium). Tall body length: +2.375” (all sizes). Tall sleeve length: +2.375” (all sizes). Customize your team's Nike sweats with either screen printing or performance flex. 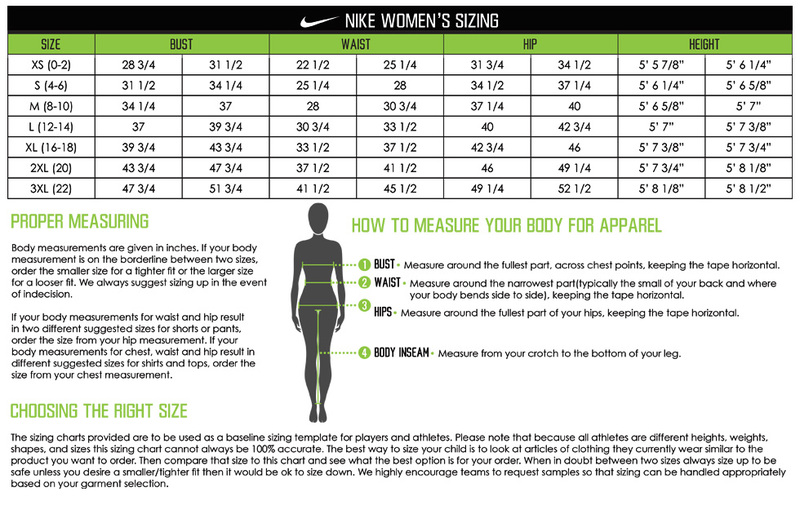 At Elevation we specialize in custom women's Nike sweatshirts, contact us today for your team's quote!